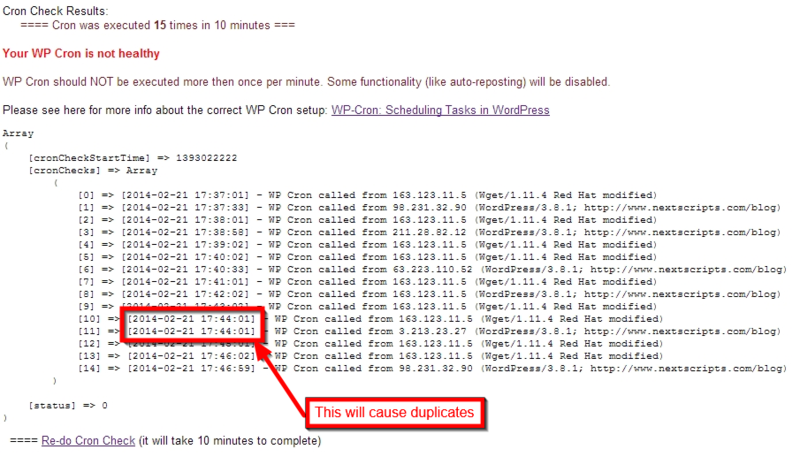 “Existing posts auto-reposter” functionality will be disabled if WP Cron is not configured correctly. It’s been more then three months since we released SNAP for WordPress Version 3.0 with “Existing posts auto-reposter” functionality. It was one of the most requested features and a lot of people are enjoying it. However this feature brought a lot of troubles to us. The problem is that this feature could work properly only with correctly configured (healthy) WP Cron. It turned out that a lot of people have no idea what is “WP Cron”, how does it work, and why it’s important to keep it healthy. Combination of unhealthy WP Cron and “Existing posts auto-reposter” feature could cause: no auto-repostings, no auto-postings, many duplicate postings and repostings, site crashes, 500 Internal server errors, etc … and of course we are getting the blame for all those problems. We don’t feel that we deserve all those bad reviews and being called “Unhelpful Support” simply because we don’t have technical capabilities to spend hours on each website debugging WP Cron. WP Cron is a part of WordPress itself and its absolutely not related to our products. Healthy WP Cron is a requirement for “Existing posts auto-reposter” functionality and SNAP for WordPress Version 3.3 will check and disable this feature if it detects that WP Cron is not configured the way it should be. 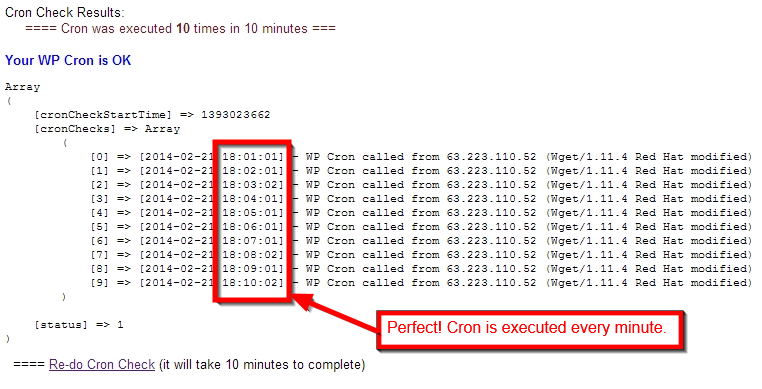 Please go to the “Help/Support” tab and click “Show Cron Test Results” to see how your WP Cron is doing. Once the WP Cron is configured correctly, please go to the Help/Support tab again and click “Show Cron Test Results” and then click “Re-do Cron Check”. “Existing posts auto-reposter” functionality will be reactivated after successful test. We are really sorry, but we can’t offer troubleshooting services for WP Cron as part of our support for SNAP plugin. This is a server administration issue, so please work with your server admin or hosting provider if you need help setting it up correctly. UPDATE: Yes, you can force “Auto-Reposter” back on from the settings tab. How do i know me crone job command so i can execute that command with external third party corne job provider ?